Elizabeth Woodville (1437 - 92). 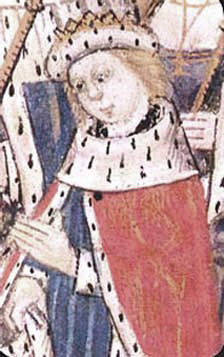 The exact date of death of Edward V and his brother, Richard, Duke of York, remains shrouded in mystery. Popular belief holds that they were murdered on the orders of their uncle, Richard III. Remains found buried at the Tower of London and thought to be those of Edward V and his brother were reinterred at Westminster Abbey in 1678.